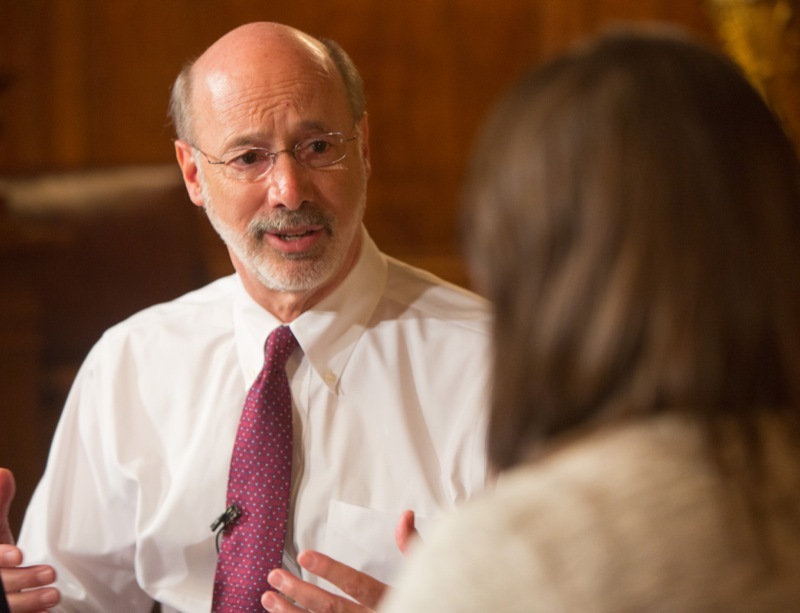 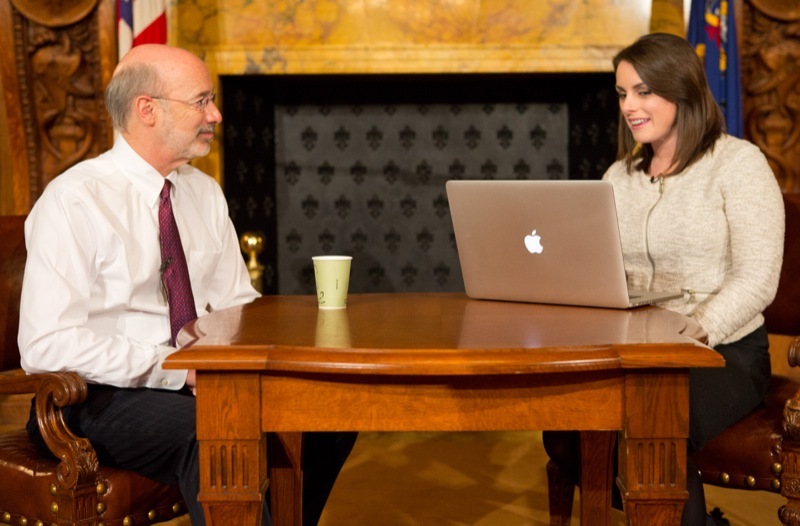 Governor Tom Wolf held a Facebook Town Hall meeting live on his 2015-2016 budget. 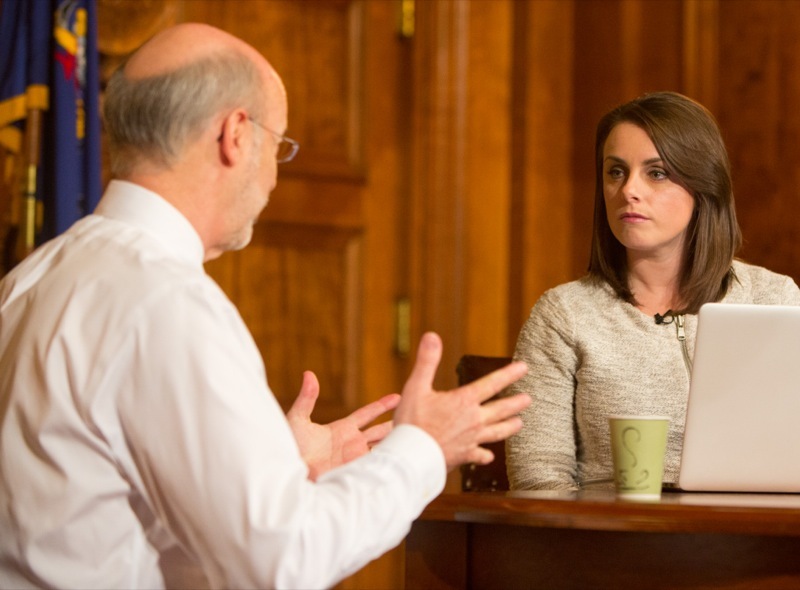 Facebook users and followers were invited to ask the governor questions about his budget proposal and key initiatives - jobs that pay, schools that teach, and government that works - by posting a comment on the announcement on Facebook. 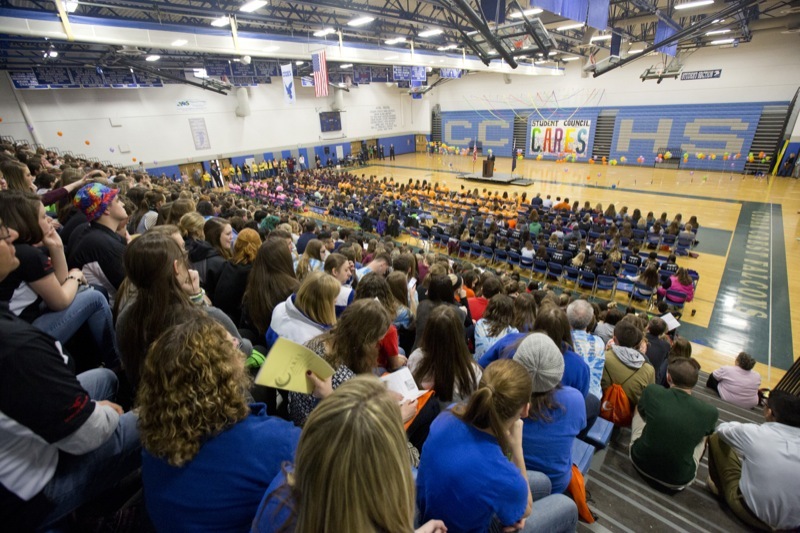 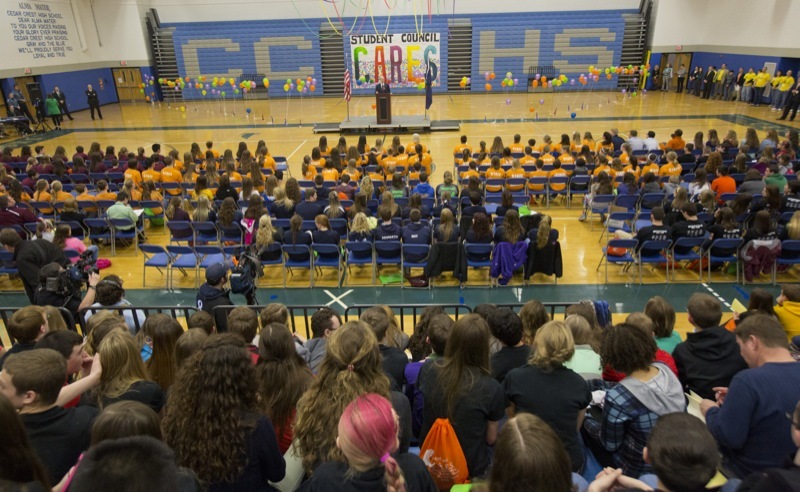 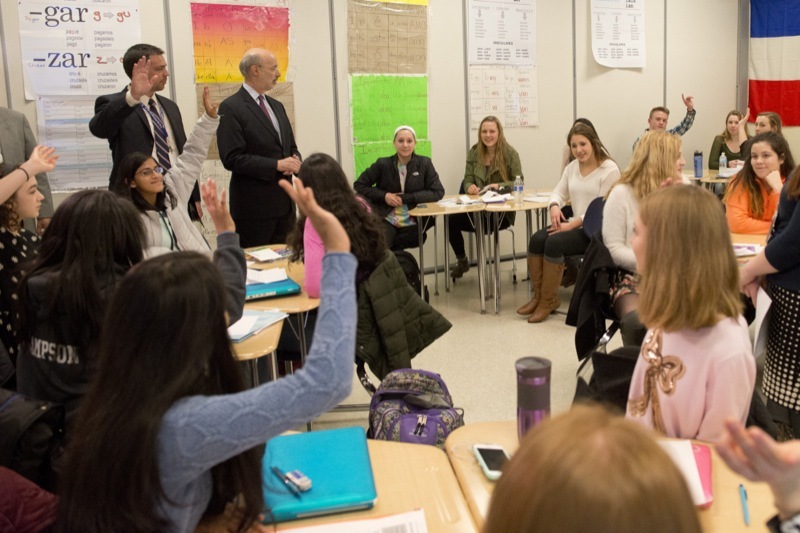 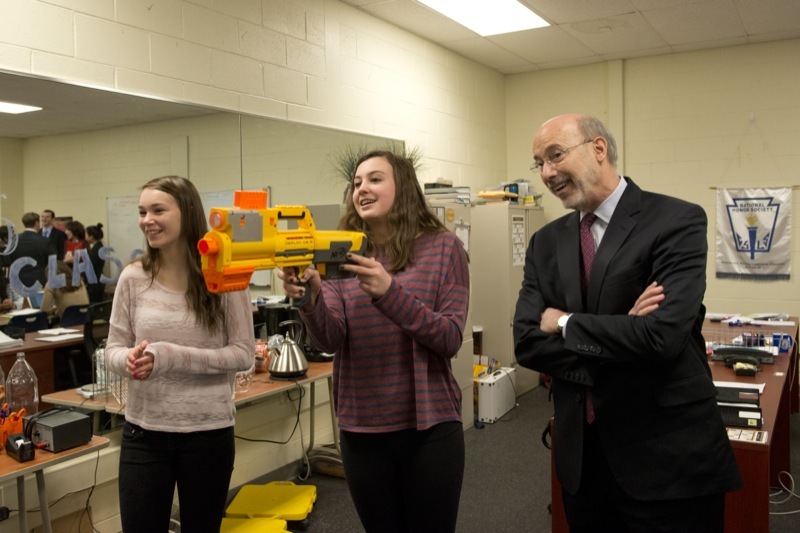 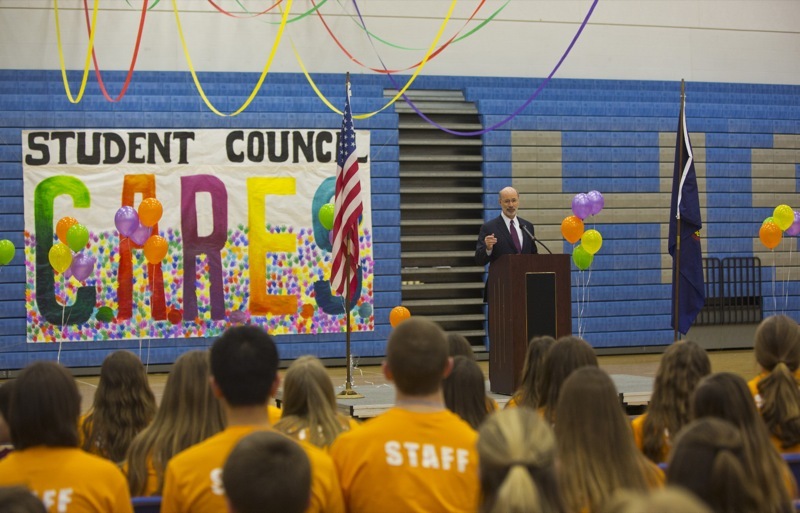 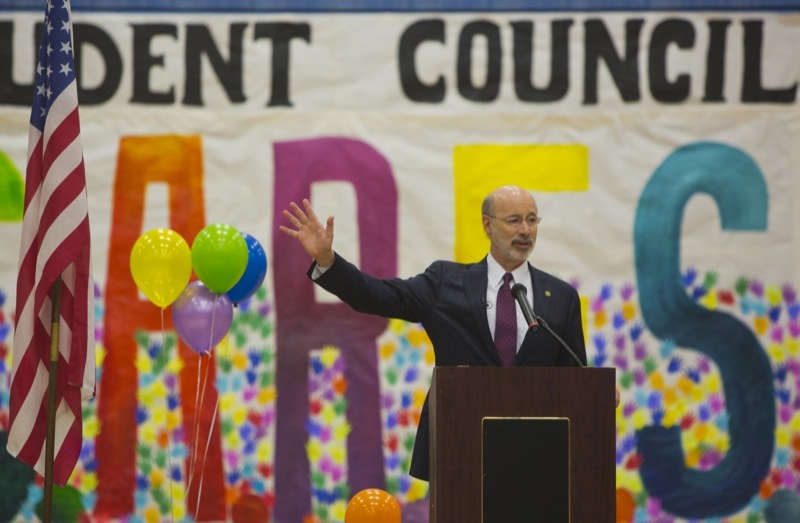 Governor Tom Wolf continued his 'Schools That Teach Tour' today in Lebanon, where he spoke to young leaders about the importance of their commitment to service. 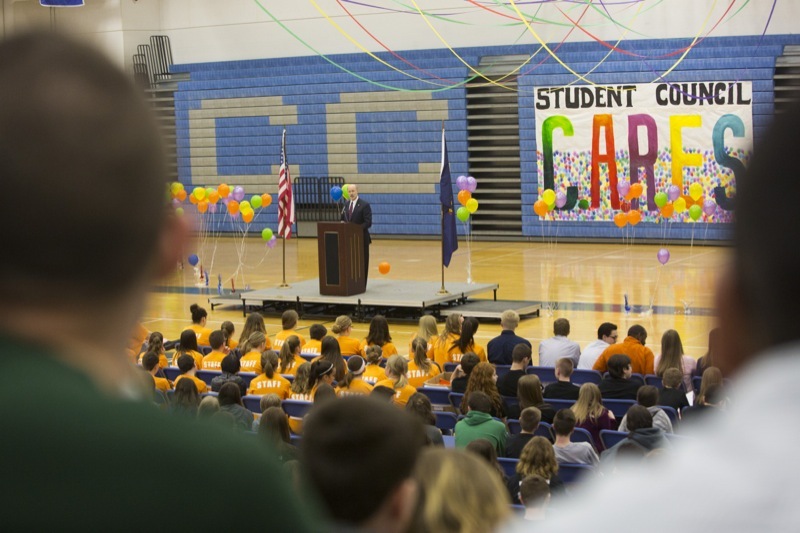 He also stressed how his 2015-2016 budget makes historic public education investments and how it will help students prepare for college and the workforce. 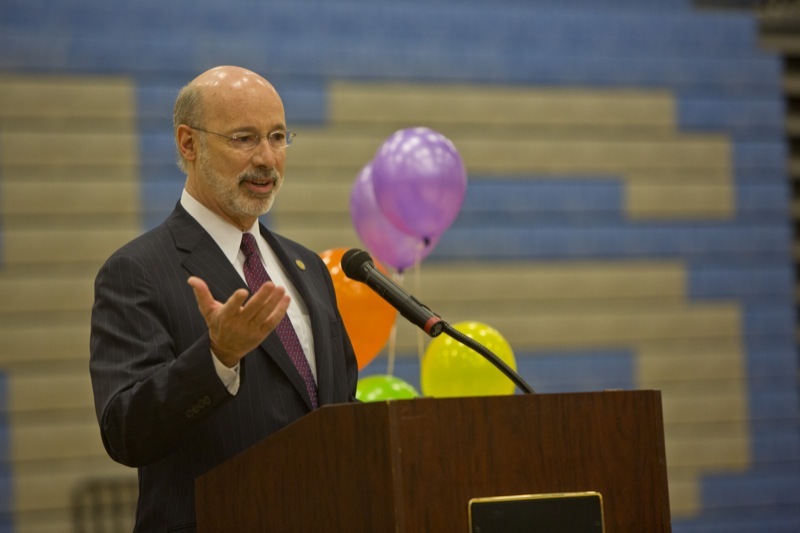 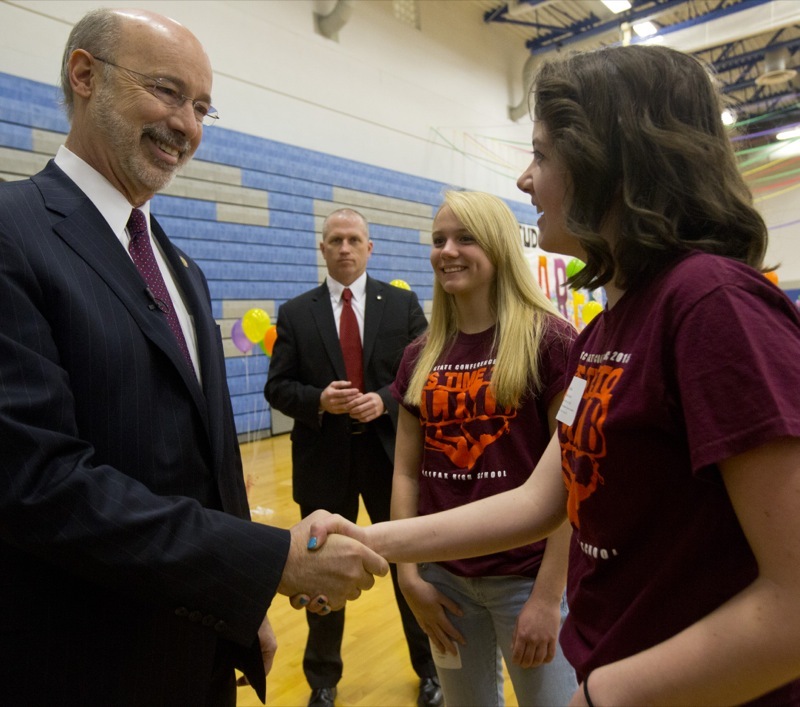 Governor Tom Wolf continued his "Schools That Teach Tour" today in Lebanon, where he spoke to young leaders about the importance of their commitment to service. 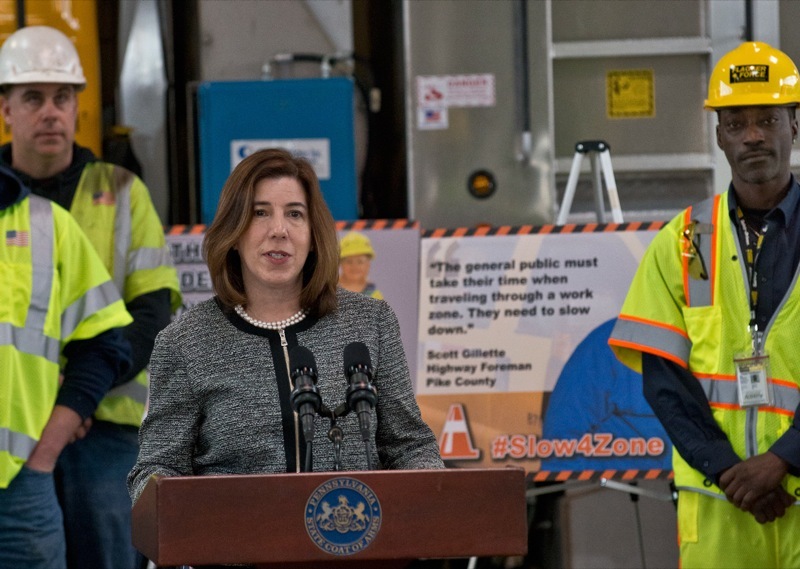 Harrisburg, PA - With National Work Zone Awareness Week occurring March 23-27, Acting PennDOT Secretary Leslie S. Richards today joined representatives from the Associated Pennsylvania Constructors (APC), the American Traffic Safety Services Organization (ATSSA), and various traffic-control companies for an event in Harrisburg calling on motorists to drive safely in work zones and be mindful of the people behind the cones. 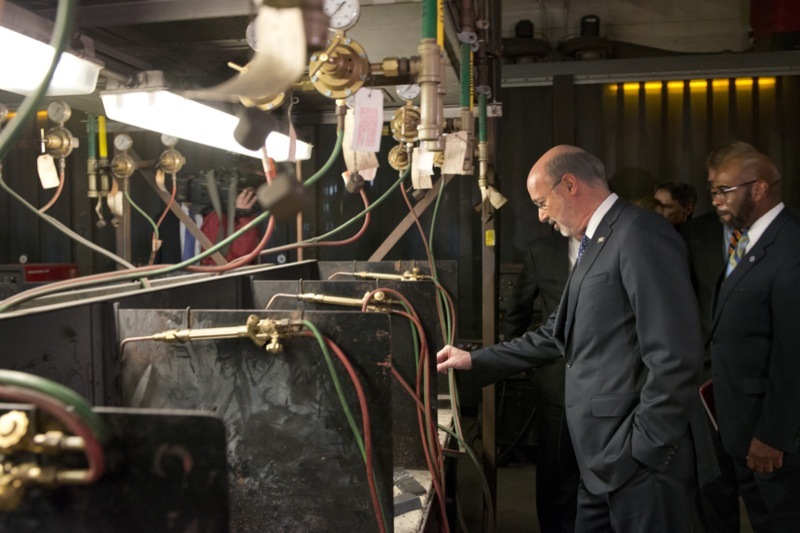 Pennsylvania shale gas is driving down energy costs and opening new opportunities for manufacturers. 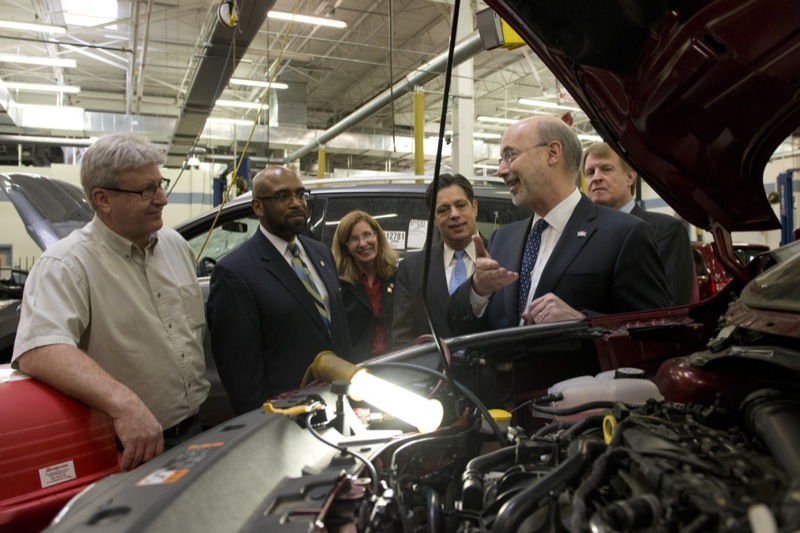 Thanks to abundant natural gas reserves, plastics manufacturers enjoy lower costs and expanded opportunities in the medical, food, automotive, recreation, consumer products, and construction fields. 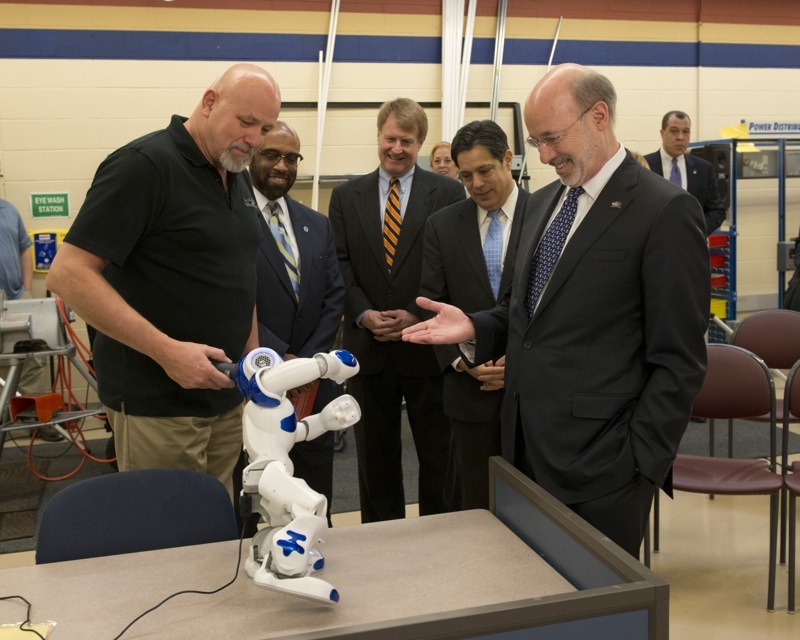 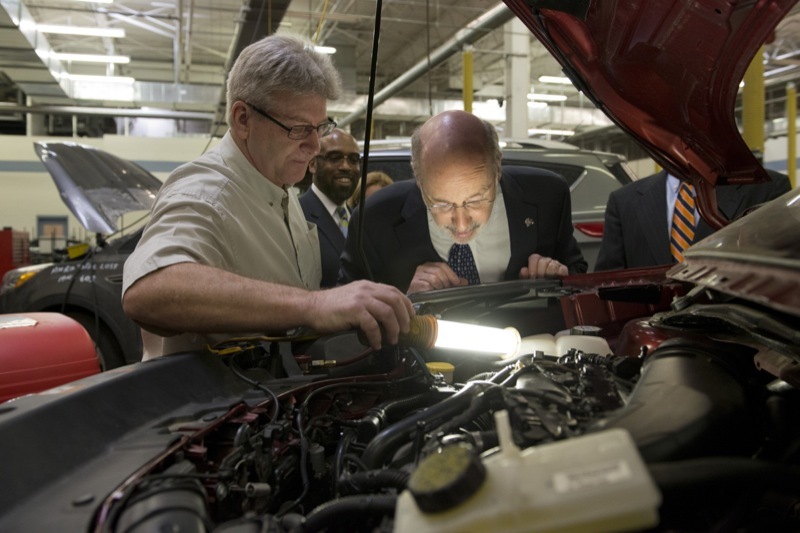 Pennsylvania Governor Tom Wolf continued his 'Schools That Teach' Tour today at the Community College of Allegheny County. 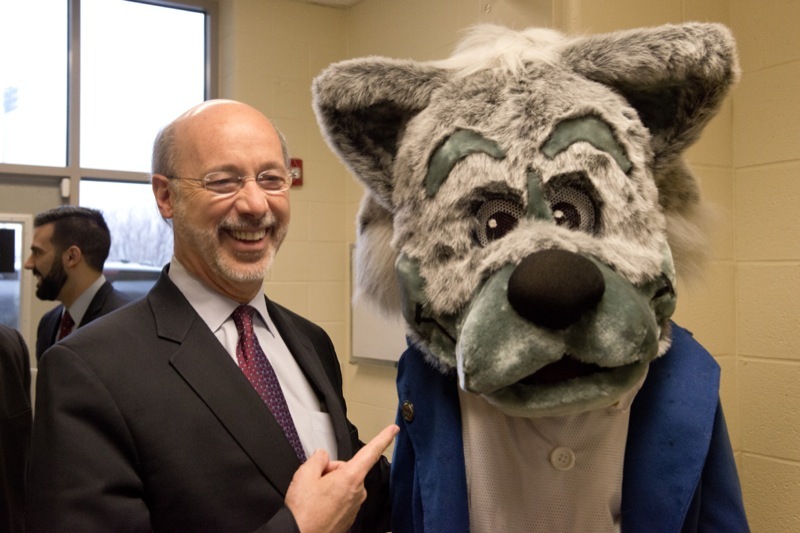 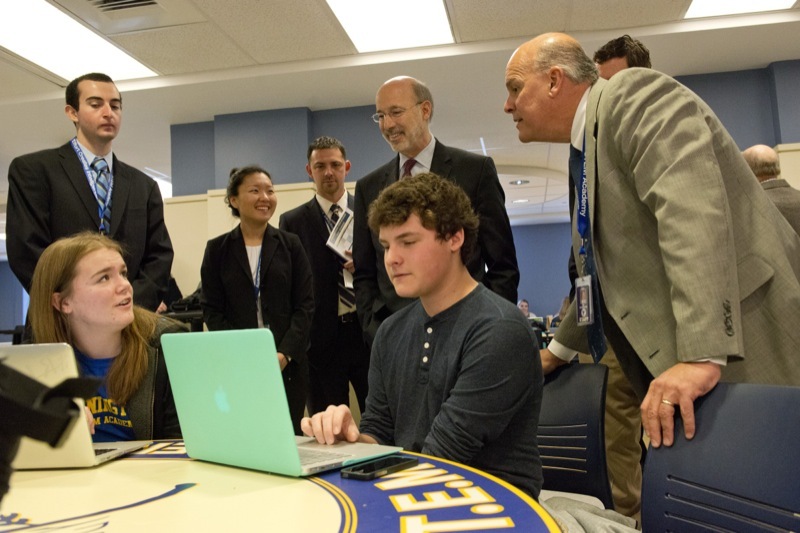 During his visit, Governor Wolf discussed his 2015-2016 budget proposal, which makes historical investments in K-12 public education, reinvests in higher education, and commits to fully restore cuts to colleges and universities over the next two years. 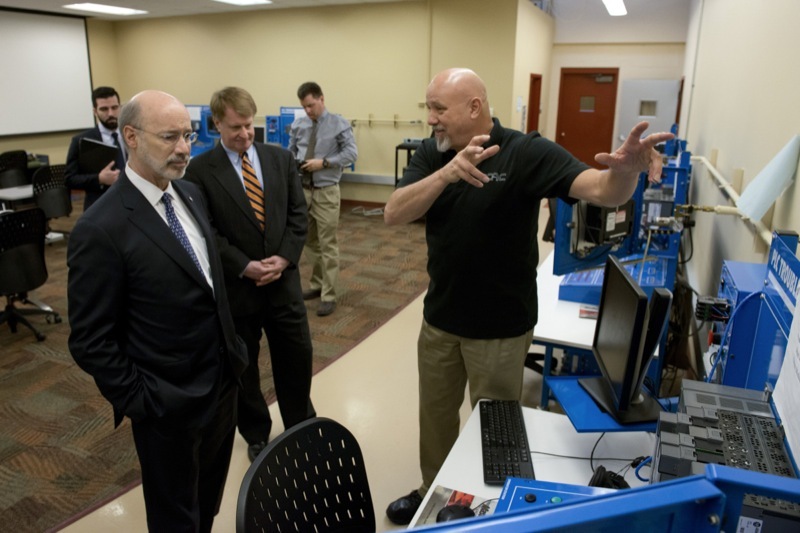 Pennsylvania Governor Tom Wolf continued his 'Schools That Teach' Tour today at the Community College of Allegheny County. 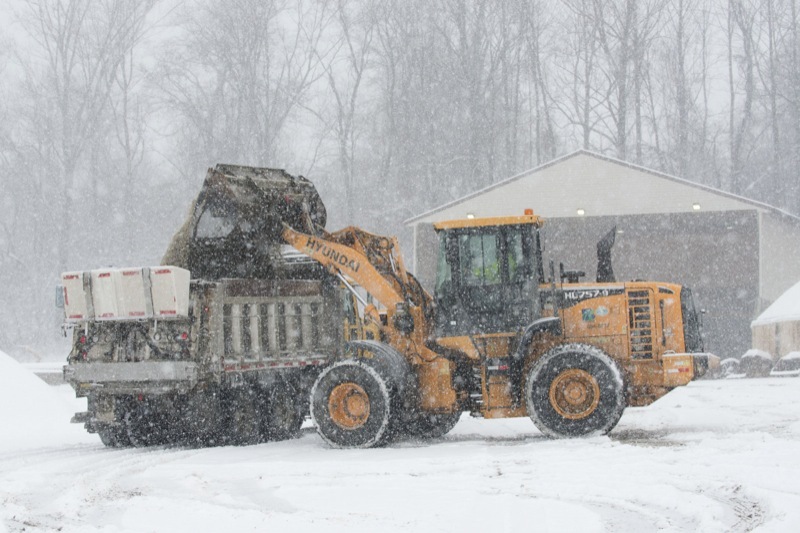 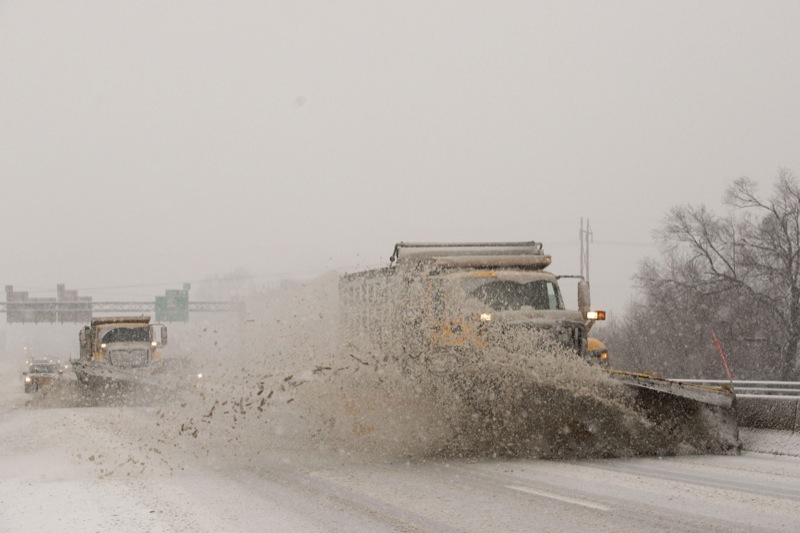 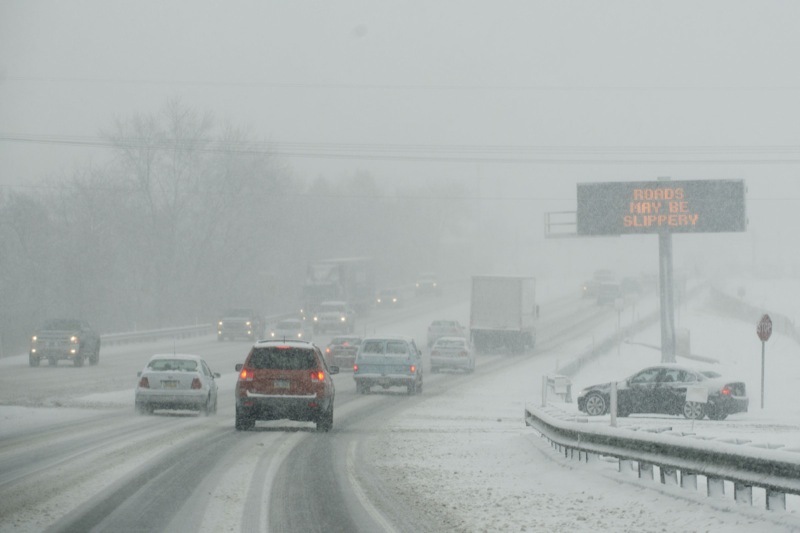 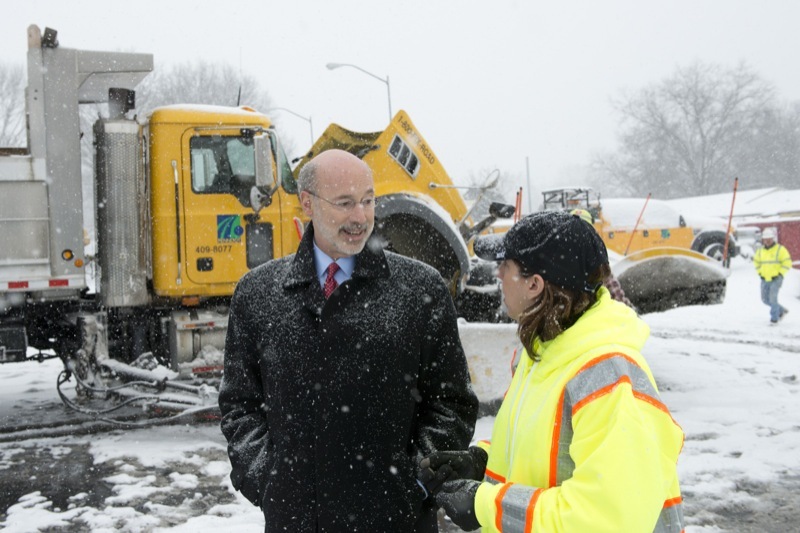 With another round of snow headed for Pennsylvania Wednesday into Thursday, Governor Tom Wolf, the Pennsylvania Department of Transportation, and the Pennsylvania Emergency Management Agency remind residents to stay aware of weather forecasts and take a commonsense approach to any travel. 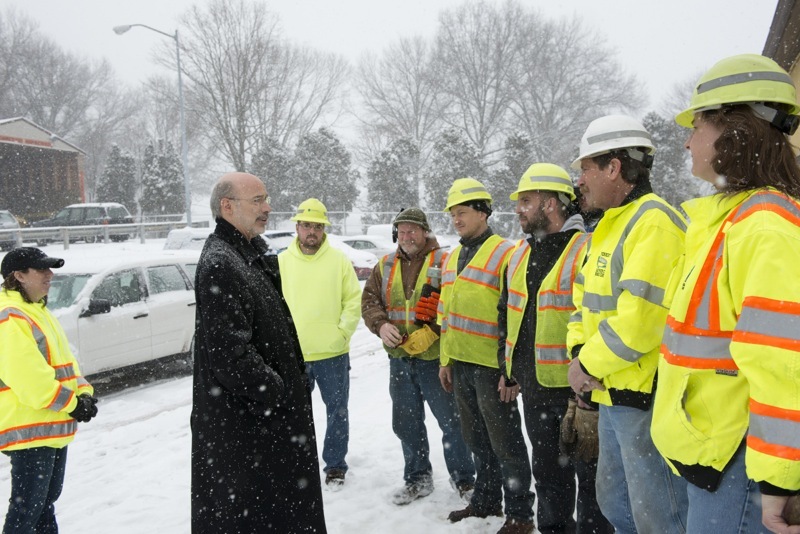 Governor Wolf visited PennDOT's Harrisburg-area regional office and met with employees as they changed shifts. 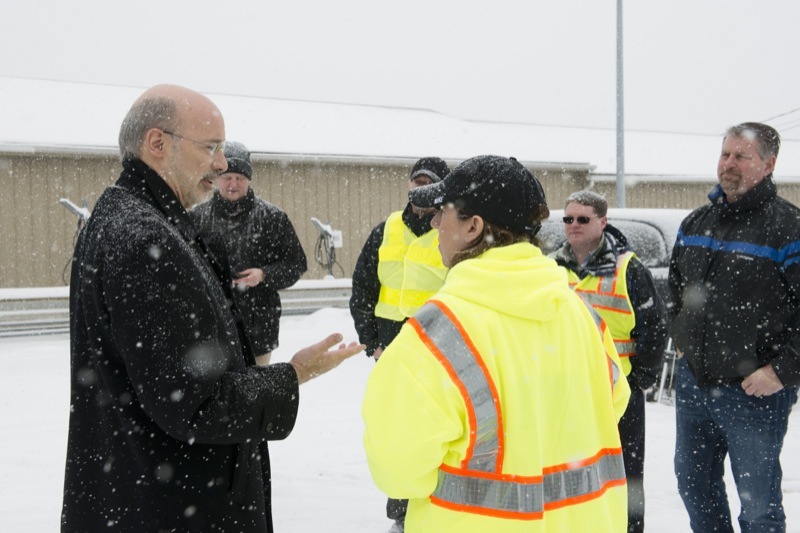 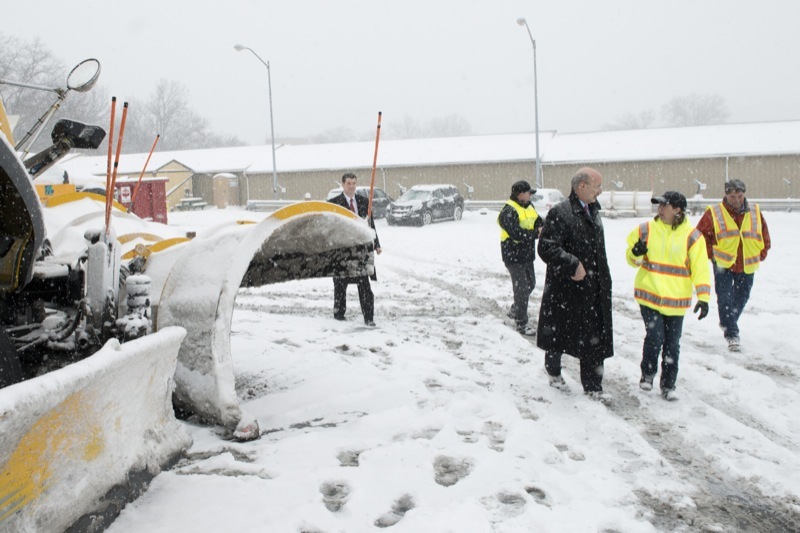 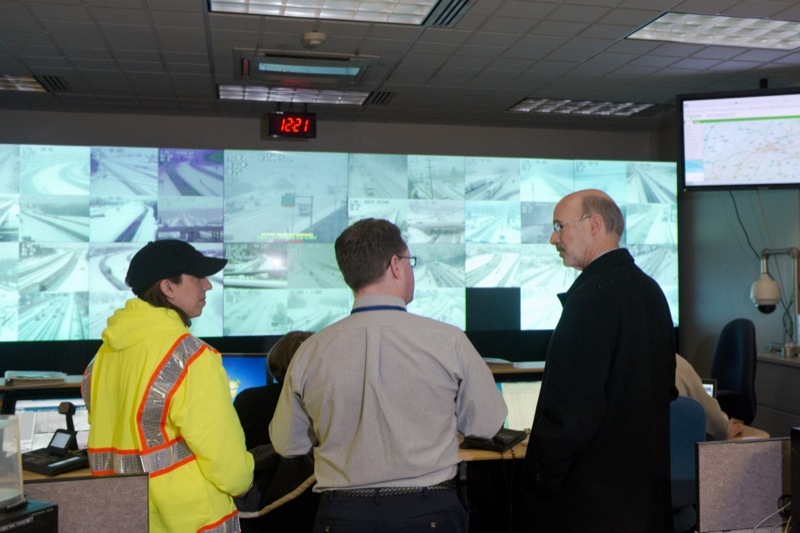 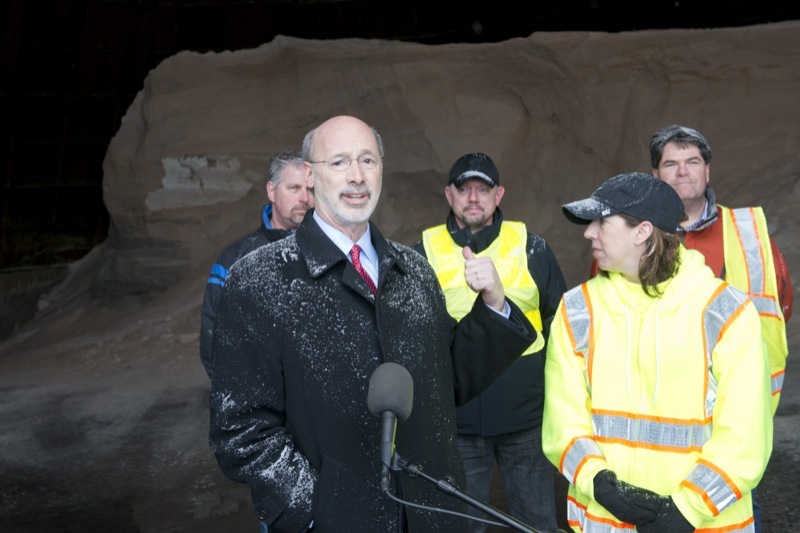 Governor Wolf visited PennDOT's Harrisburg stockpile and met with employees as they ended and began their 12-hour shifts. 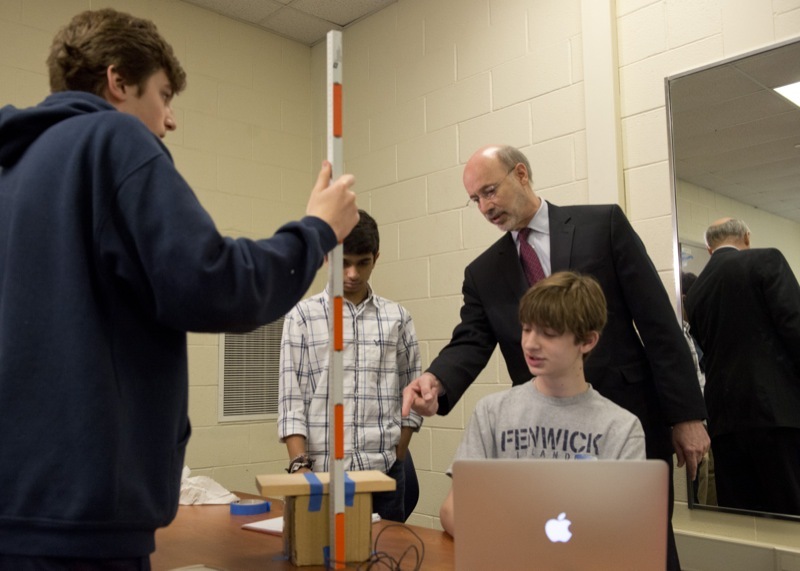 Pennsylvania Governor Tom Wolf today made his first school visit since delivering his 2015-2016 budget, which makes historic investments in public education. 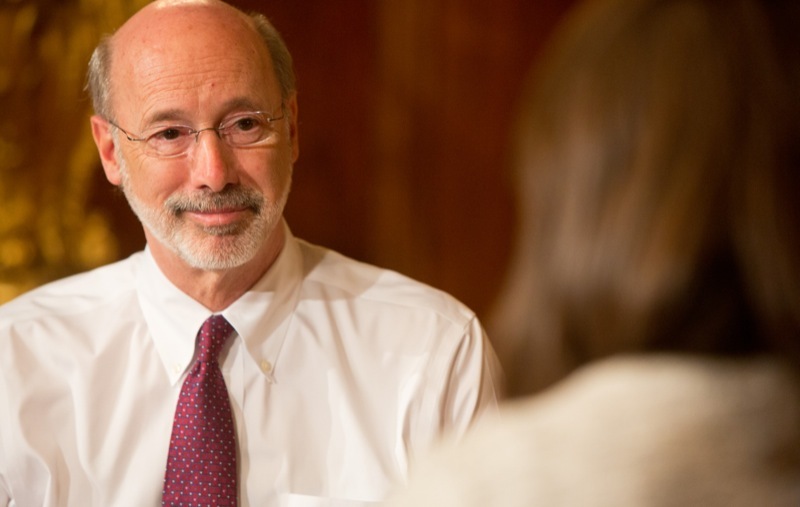 The Governor's proposal restores massive cuts made over the last four years, with a commitment to increase school funding by $2 billion over four years while cutting property taxes by 50 percent for the average homeowner. 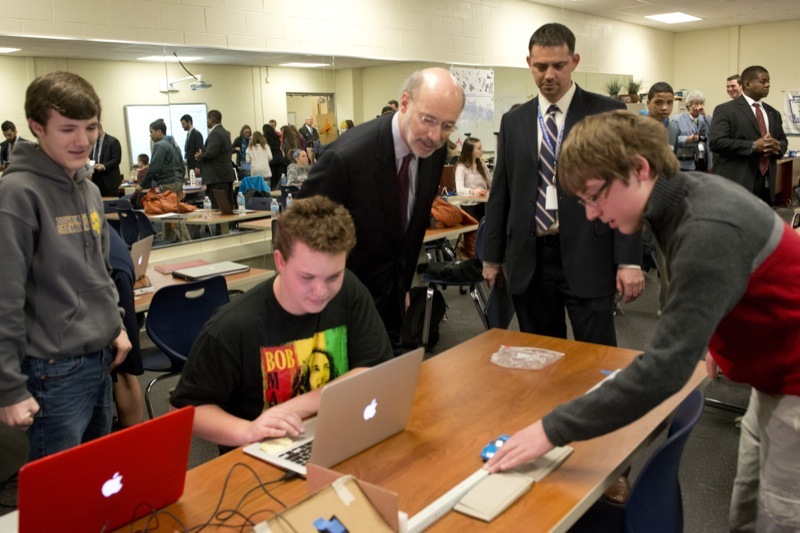 Pennsylvania Governor Tom Wolf today made his first school visit since delivering his 2015-2016 budget, which makes historic investments in public education.